While the human rights situation in Palestine is profoundly shaped by the situation of occupation, the welfare of ordinary people in the territory is also contingent on the effectiveness of development policies implemented by the Palestinian Authority (PA). With this fact in mind, CESR has been working closely with Palestine’s Independent Commission on Human Rights (ICHR) to support its efforts to ensure the PA’s development plans serve to realize the human rights of all those under its authority. The ICHR is the most recent member of the Asia Pacific Forum of National Human Rights Institutions to participate in a pilot project on economic and social rights monitoring, as part of a joint initiative between CESR and the Asia Pacific Forum aimed at strengthening the role of these institutions in protecting these rights. 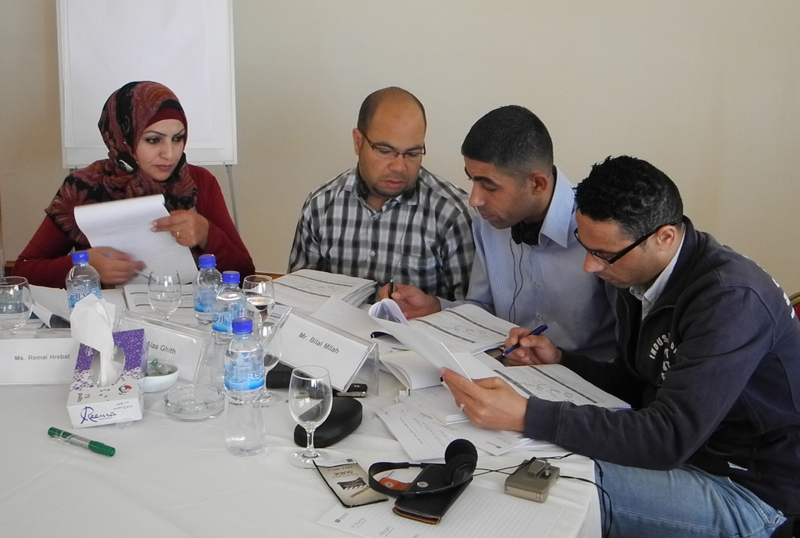 The pilot began with a four-day program, held in Ramallah from 11 – 14 May, to explore strategies the Commission can incorporate when analyzing development-related policies from a human rights perspective. 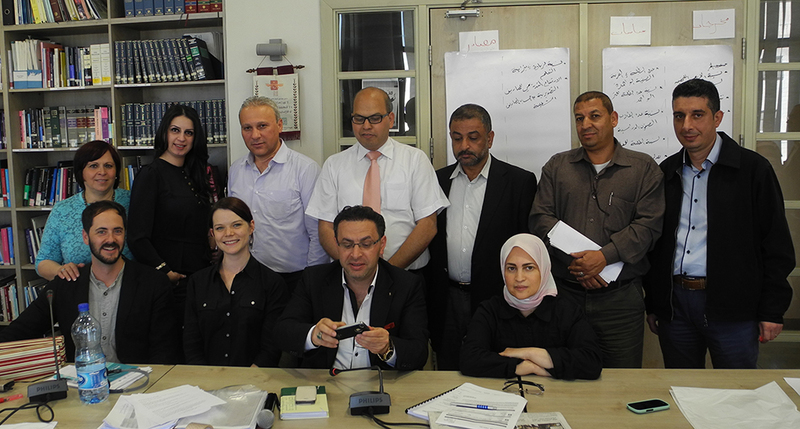 Approximately 30 staff from the Commission’s headquarters, West Bank and Gaza field offices, participated in a two-day training workshop led by CESR's Allison Corkery and Niko Lusiani. Over the course of the workshop, participants were introduced to OPERA, an accessible four-step framework for uncovering patterns of socio-economic rights deprivation—such as preventable disease, malnutrition, illiteracy, or homelessness—and linking these deprivations to weaknesses in design or implementation of government policies. In addition, participants undertook activities to familiarize them with the tools and techniques underpinning the framework, including identifying indicators and benchmarks, gathering primary and secondary data, and analyzing budgets. The training workshop was followed by two days of facilitated discussion with directors and managers of the Commission’s programs and field offices. ICHR plans to use the skills shared in the training to track progress in the implementation of the PA’s National Development Plan, which sets out a broad and ambitious policy agenda for the coming three years. The Commission's role in monitoring implementation of the plan will be crucial to ensure the aspirations it contains are effectively translated into real improvements on the ground. National Human Rights Institutions have a critical role to play in holding all relevant actors and authorities accountable to their human rights obligations in the development context. Effective monitoring is essential for ensuring such accountability; highlighting when laws and policies create, perpetuate or exacerbate deprivations of economic and social rights. Combining quantitative and qualitative evidence—including statistics and data, policy and budget analysis and the personal stories of affected communities—will enable ICHR to pinpoint the challenges in achieving equitable development in Palestine´s constrained context, and to promote human rights centered reforms. Staff from CESR will provide ICHR’s team with methodological support and advice during the course of the project. Like ICHR, many other national human rights institutions in the Asia Pacific have highlighted their desire to more effectively monitor economic, social and cultural rights in their respective countries. NHRIs across the region—in emerging economies such as Indonesia, India, the Philippines and Thailand, as well as in transitional countries such as Nepal, Palestine, and the Maldives—have been vocal advocates for the adoption of a human rights-based approach to development. To respond to this need, the APF and CESR will develop a comprehensive training resource to support APF member institutions to plan and undertake this crucial work.